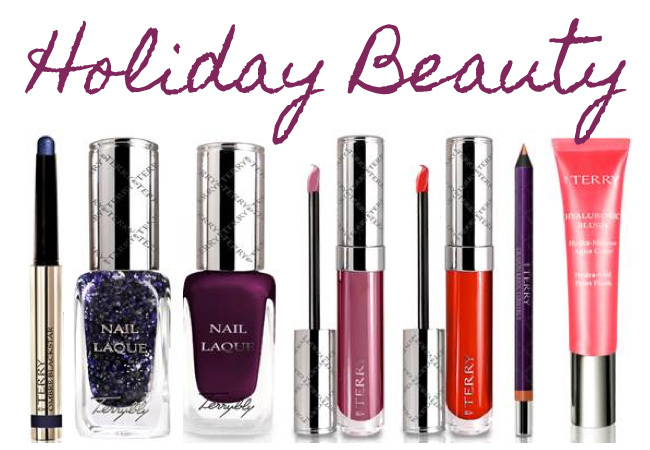 Luxury Makeup for the Holidays from By Terry. Luxurious French makeup brand By Terry has a beautifully elegant holiday makeup collection that I just had to share. I've used a few of her makeup products before and I have liked everything about them. They are very nice products, always elegantly packaged and packed with great anti-aging ingredients too. The holiday collection does not disappoint with a collection of limited edition products in deep shades for the eyes and soft brights for the lips. These easy-to-apply eye shadows illuminate the eyes and last through any holiday party. Glamorous gel containing micro-glitter can be applied over any nail shade to create a festive holiday look. This long-wearing, ultra-shiny polish keeps nails looking flawless from gift wrapping through the late night parties this holiday season. Available in 5 radiant, sparkling and passionate colors with anti-aging and firming technology to brighten the dreary winter months. Two new holiday shades of creamy eyeshadow in a stick form to create a bold, wide-eyed look in a cinch. By Terry products are available at b-glowing, Barney's and Bloomingdales.